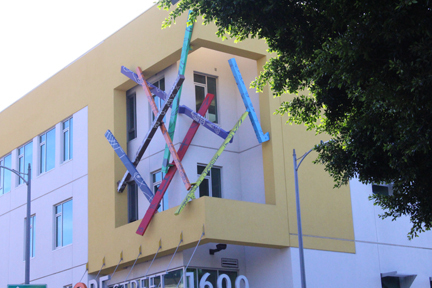 Exterior of the building, painted steel sculpture 30'h x 25'w x 10'd, finished in 2013. Photographed 1/18/2015. 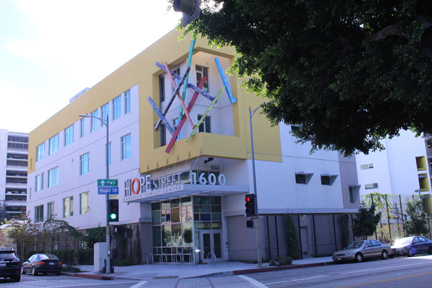 Southeast corner of Venice Boulevard and S. Hope Street, downtown Los Angeles.